Luxury Coach Tour with Hotel Pick Ups, Tea, Haigh's Chocolates, Overnight Adelaide Accommodation. Spend the day taking in the sights and surrounds of Adelaide. Visit the famous Adelaide Hills or spend the day exploring the churches, parks and famous museums and galleries of Adelaide. Alternatively, you can visit the seaside town of Glenelg, famous for its beaches and many tourist attractions. This morning you will be personally met at your hotel by a DISCOVER AUSTRALIA representative and transferred from your hotel to the Ghan railway station to begin your journey to Darwin. 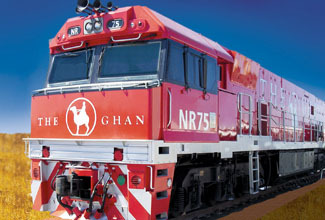 See below for full details on your Ghan journey. Note: passengers disembarking in Alice Springs depart on Day 10. You will be personally met by a DISCOVER AUSTRALIA representative and transferred from the airport on arrival in Adelaide to your hotel and from your hotel to the Ghan railway station, from the Ghan railway station on arrival in Darwin to your hotel and from your hotel to the airport to meet your flight home. You receive the FREE DISCOVER AUSTRALIA Bonus Voucher Book that includes $500 value of discounts and bonuses throughout Adelaide, Darwin, the Northern Territory and South Australia at shops, restaurants attractions, wineries etc. 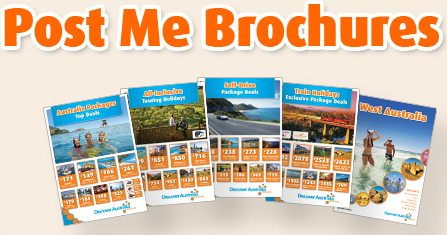 It's a great way to save even more on your Northern Territory & South Australia holiday. 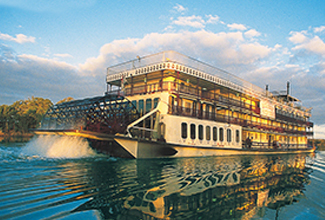 The Ghan & Murray Princess 5 Day Outback Heritage Cruise with Adelaide & Darwin Stays is very popular. Many dates book out well in advance, please book soon.